HomeBusinessCould you be a workaholic, addicted to your job? Could you be a workaholic, addicted to your job? April 4, 2018 Paul Business Comments Off on Could you be a workaholic, addicted to your job? Could working too hard and for too many hours be a form of addiction? JC, who lives in Tampa Bay, Florida, says she needed a lot of courage the first time she stood up and said that in front of a group of people she had never met before. JC, who doesn’t want us to reveal her full name, had gone along to a meeting of Workaholics Anonymous because she felt she couldn’t cope anymore. A 40-year-old healthcare worker, who had conquered her alcoholism and an eating disorder, she says she couldn’t experience the serenity that she hoped sobriety would bring because she instead had become addicted to working. Her work addiction and the stress that came with it affected her health. Following a similar 12-step recovery plan to the one first devised by Alcoholics Anonymous, Workaholics Anonymous started in the US in the early 1980s. Today there are more than 100 meeting groups around the world, from Argentina to the US, the UK and Japan. There is also the possibility of joining an online meeting via Skype or over the phone. But how do you know if you are a workaholic? And what other ways are there to get help? Wilmar Schaufeli, a professor of work and organisational psychology at Utrecht University in the Netherlands, describes a workaholic as “a person who works obsessively hard in a compulsive way”. For other people with work addiction problems, having one-to-one therapy with a trained professional might be the answer. But what actually can lead to work addition? Dr Claudia Herbert, a clinical psychologist at the Oxford Development Centre, in Putney, Oxfordshire, often treats sufferers. She says that many workaholics have other mental health disorders. The condition can be triggered by someone having to work too hard in the first place. “People often have to take jobs that in previous times would have been done by two or three people,” she says. Work addiction may be caused in part by a person being pushed too hard by his or her parents in their earlier life. “People who as children were reinforced by their achievements rather than who they are, they are more likely to become work addicted,” she adds. When it comes to the types of jobs where people are more vulnerable to becoming workaholics, Prof Schaufeli says it is more a case of senior professionals rather than those with jobs on the lower rungs of the workplace ladder. He says that self-employed people are also vulnerable because they can become obsessed by their businesses. Prof Schaufeli adds that work addicts very often don’t see that their behaviour is problematic because the fact they are doing vast amounts of work often means they are earning more and being promoted. 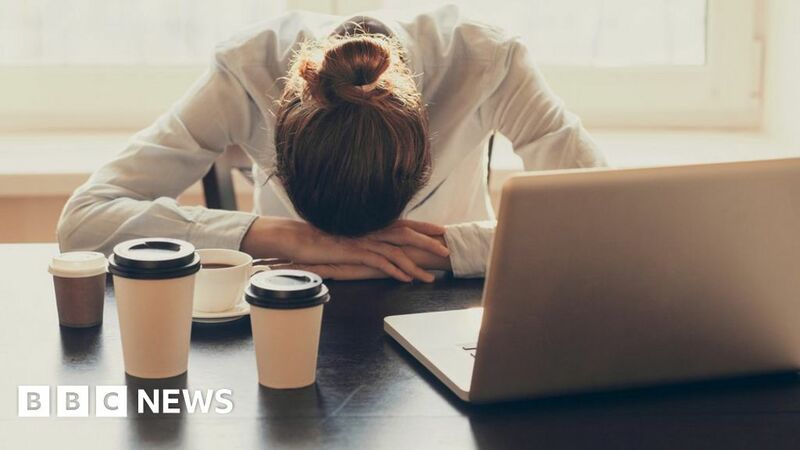 When it comes to treating work addiction, Dr Herbert says it needs to be individually tailored to each sufferer, and getting to the bottom of what caused it. At Retreat South, a rehabilitation centre and mental health retreat in the Australian state of Victoria, they run a work-related stress and executive burnout programme, trying to get people’s work/life balance back. The programme started six years ago, and the average length of stay is one month, with prices from 8,000 Australian dollars ($6,100; £4,400) per week. Most of the clients are Australian, but they also have some from Asia and Europe. “We work on the guilt – I haven’t been a good parent, I haven’t been a good partner,” says Jane Enter, Retreat South’s clinical director. Back in Florida, JC – who first went to Workaholics Anonymous back in 2012 – now volunteers for the organisation. “I have more time for fun and relationships with people,” she says. “I have the same job. However, because I have changed the way I think and act it is much more manageable.